Transition between rooms with your statement of style.The TC36 See-Thru: no louvers, no heavy trim, no raised hearth required. Just a beautiful fire with bold flames creating a warm and enveloping atmosphere in two rooms at once. 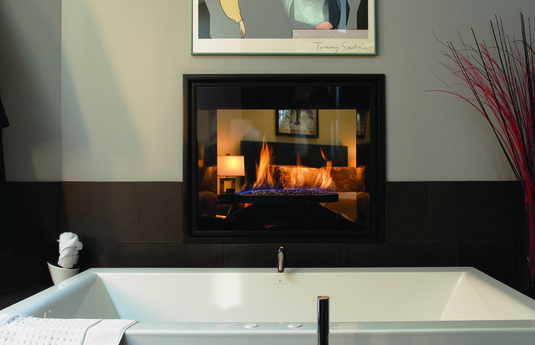 Our unique Design-A-Fire options and venting versatility let you create your perfect two-sided fireplace – and put it where you want it.